Thoracic pain is pain that occurs in the middle part of your back (chest area). Twelve vertebrae make up the thoracic area of your spine, between the lumbar and cervical vertebrae. The rib cage is connected to each level of the thoracic spine. The thoracic spine is not very flexible. Instead, it provides stability and protects your vital internal organs. Your spinal cord and spinal nerves at the thoracic spine level send signals to the muscles that lie between the ribs, which help you breathe, as well as the abdominal muscles, which allow you to cough and are important in balance and posture. Thoracic pain can be caused by many things, including poor posture, joint dysfunction, herniated discs, degenerative discs, arthritis, vertebral fractures, or scoliosis. Over-the-counter medications may be effective in treating back pain, though your doctor may prescribe heavier pain killers if needed. Physical therapy can be used to prescribe specialized exercises and stretches to help relieve pain. In severe cases, and depending on the cause of the pain, surgery may be required. The first step in pain management is to locate the cause or source of the pain. When treating pain, it’s helpful for patients to keep a log of when the pain occurs, where it occurs and the severity of the pain they are experiencing. Be sure to include a rating of your pain from 0-10, with 10 being the worst, and if anything makes the pain worse or better. Be sure to include what makes your neck feel better or worse, and which positions cause the most and least pain. Rating your pain on a scale of 0, no pain, to 10, the worst imaginable pain, is a good way for your doctor to understand the severity of pain you’re experiencing. After reviewing your medical history and performing a physical examination, your doctor may order X-rays to enable your doctor to see if there are any abnormalities in the bone or muscles. A CT scan or MRI can be used to identify bone and tissue abnormalities. Blood tests can determine if any underlying conditions are contributing to your pain. 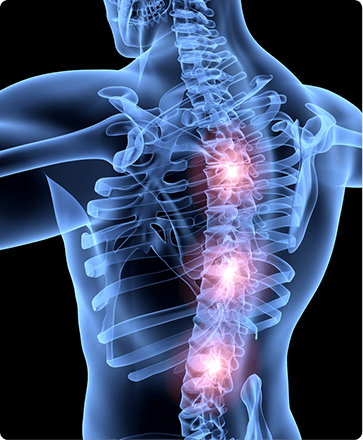 If back pain is accompanied by numbness or weakness, it may indicate damage to the spinal cord. Back pain accompanied by fever or upsets in urination or bowel movements should be checked immediately by a medical professional. If your back pain is met with unintentional weight loss, a history of injury to the back or a family history of cancer, or if the pain does not subside within a month and is not affected by pain medications, you should seek medical attention. Pain can have a negative effect on both your physical health and state of mind, but the right pain management treatments can get you moving and active again, leading to a happier, healthier life. To schedule a consultation with one of our pain management doctors, please call Chicagoland Pain Management in Bolingbrook, IL at (630) 312-4505 or in Hinsdale at (630) 856-6825 or use our convenient online appointment request form.